My favourite is The Pioneer Beach Hotel. I have visited the hotel many times and love it! It never failed to impress. The staff, the rooms, the food, the location, were all first class. I would return in a heartbeat, and recommend it to everyone who enjoys quality! 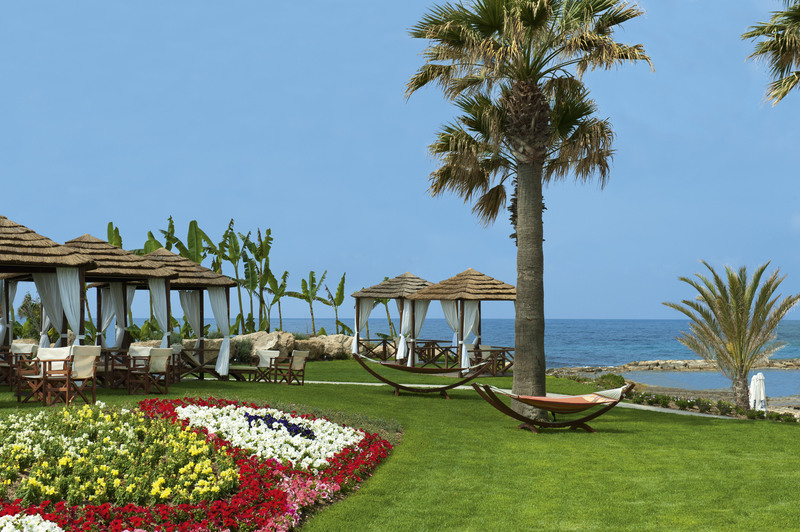 Situated on the beautiful sandy beach area of Paphos, the Pioneer Beach Hotel is a 4-star luxurious destination that is perfect for child free holidays. 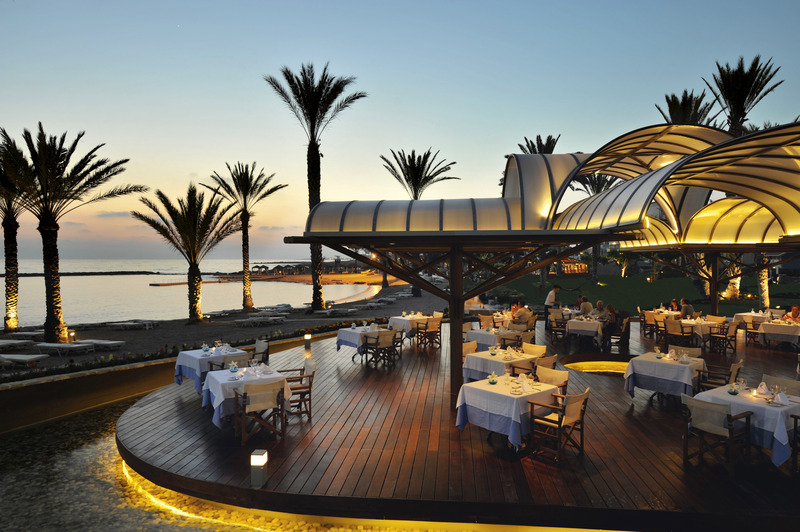 It is able to offer wide ranging facilities for an enjoyable and relaxing time, and is just 2 km from the Paphos resort centre, which gives convenient access to the local bars and restaurants. 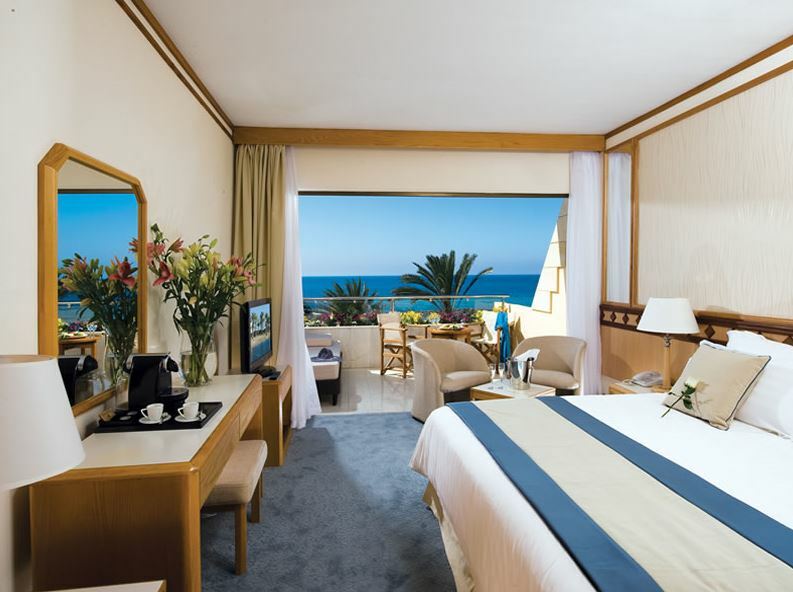 A quality aspect of the Pioneer Beach Hotel is the wide ranging sports and leisure facilities available to guests and these include indoor and outdoor bowls facilities, games areas for table tennis and tennis, relaxing Jacuzzis, and heated swimming pools. And for the guests in the executive suite and superior deluxe rooms, access is given to the plush beach cabanas. 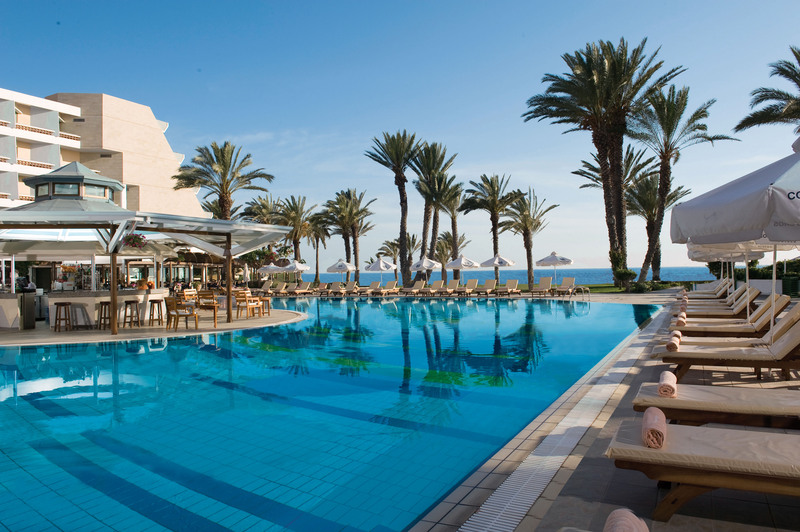 The Pioneer Beach Hotel is well appointed when it comes to the dining experience with access to four high quality eating establishments, which includes the snack bar by the poolside, the Regina a la carte restaurant, and the recently opened lagoon styled Thalassa restaurant. 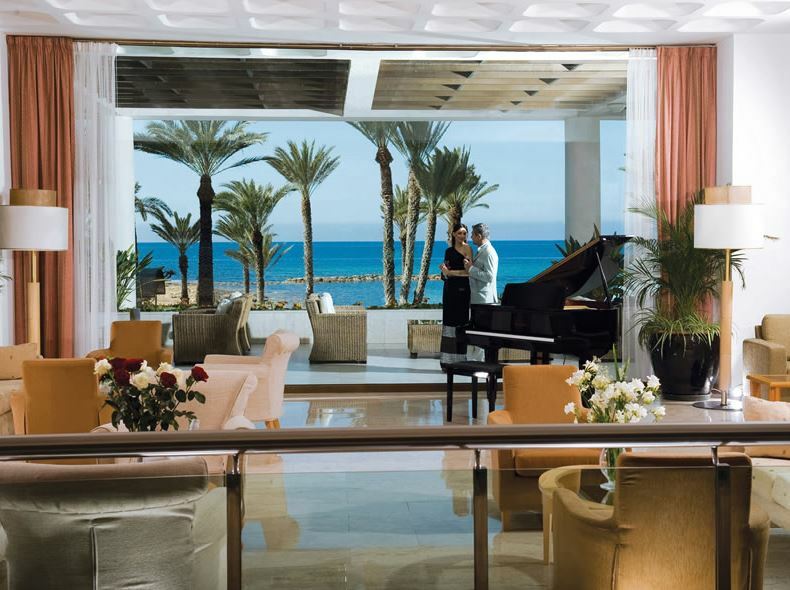 Evening drinks can also be enjoyed in one of the three welcoming bars. 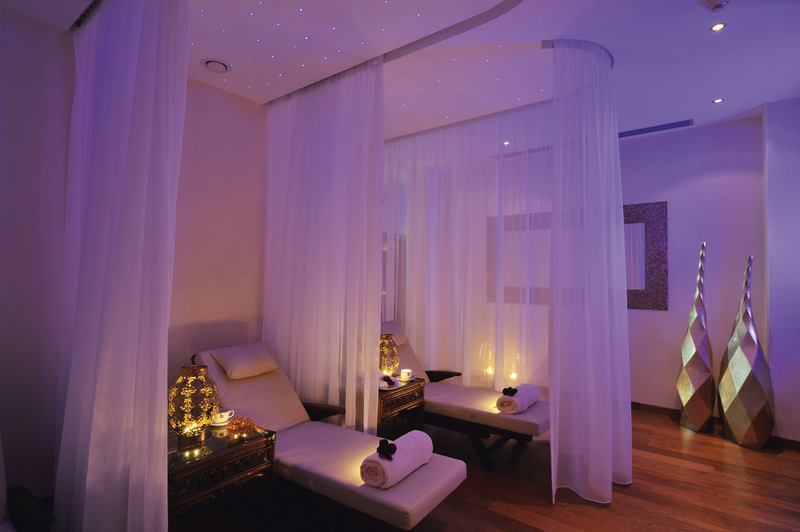 For the guests that are searching for a relaxing experience, the Pioneer Beach is able to provide a wide range of beauty treatments, including a hair salon, facial therapies, hydrotherapy, aromatherapy, body massages, saunas, and much more. And for the more energetic guests, access is provided with a well equipped gym with the very latest in strength training and cardio equipment. The Pioneer Beach is also able to offer specialist winter themed trips which are popular for golf and bridge holidays, bowls holidays and dance holidays. 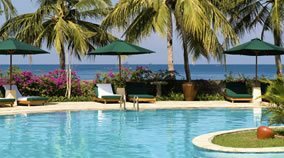 A visit to the Pioneer Beach hotel is certain to offer an idyllic destination for the couples in search of a peaceful and relaxing beachfront environment. 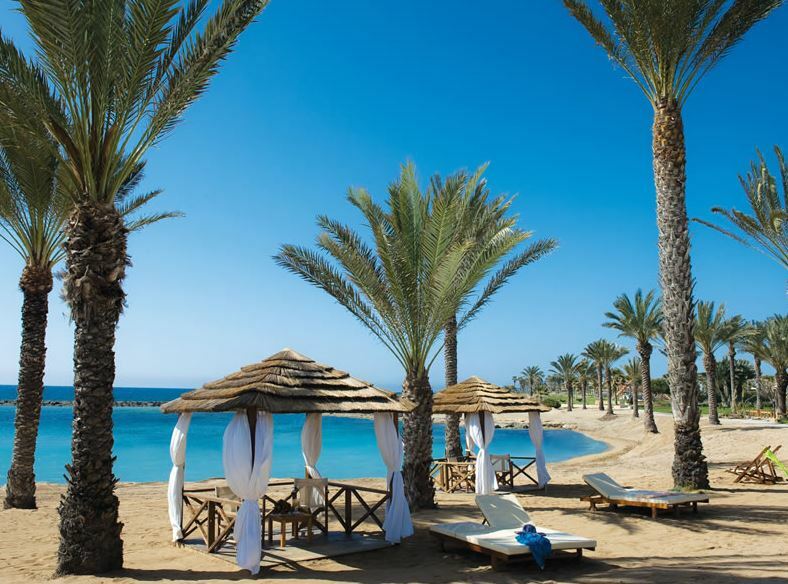 The Pioneer Beach is also a popular choice for honeymoons and weddings, which can be organised in the wonderful hotel grounds. Afternoon : Snacks/Desserts/Ice-Cream/Hot Beverages in Regina and Pool Bar. Dinner : Choice of Buffet and Table d’ hôte in Odysseas and Table d’ hôte in the Christiana Restaurant. 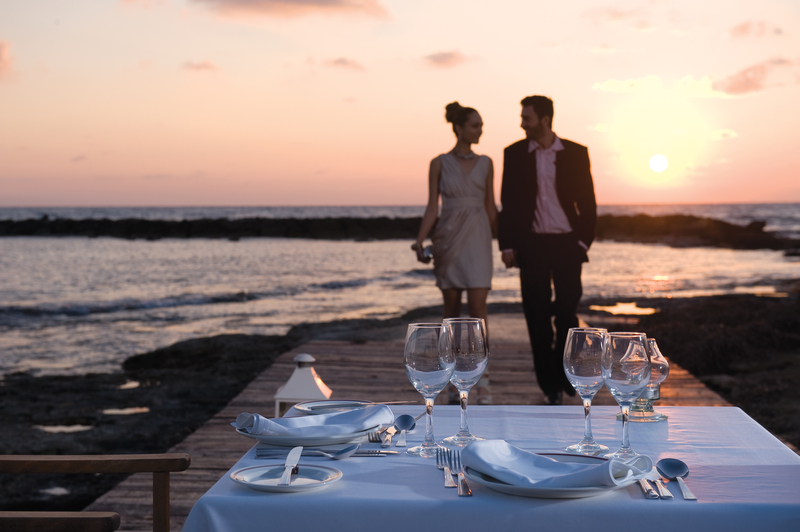 Alternatively you have a choice of a luxurious four course dinner from the a lacarte menu twice a week for every week of your stay without a charge in one of the three a la carte restaurants. 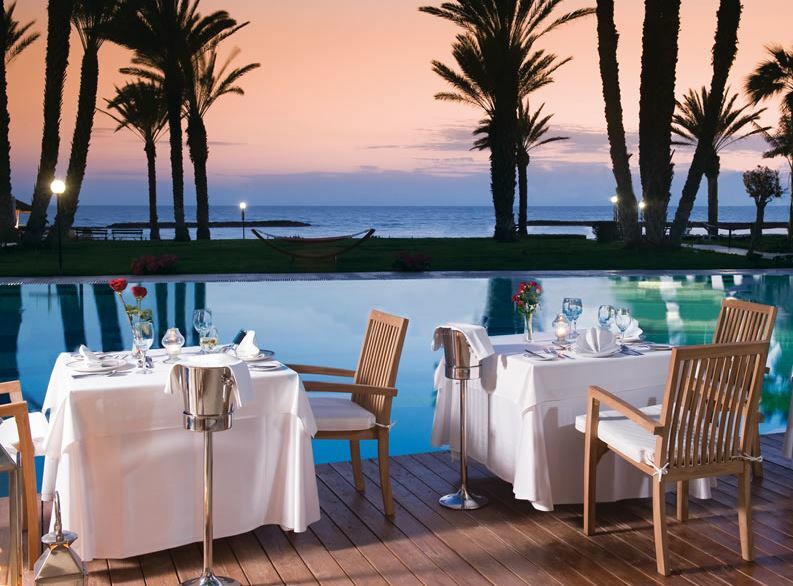 (During the winter months Thalassa is closed and therefore dinner can be taken at one of the other two a la carte restaurants). Stocked mini-bar on arrival in your room with a selection of non-alcoholic drinks, beer, water and a bottle of wine. Daily replenishment of coffee and tea in the rooms. All local, international alcohol drinks, hot beverages and soft drink available in all bars and restaurants. (Luxury brands excluded such as Blue, Black label, VSOP, Cognac, Champagne). 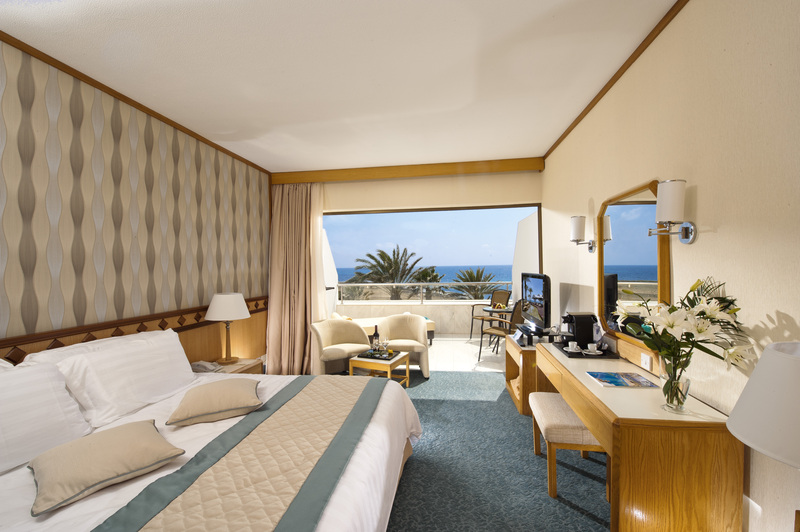 Premium package as above on standard rooms but with additional benefits. Breakfast in separate Christiana restaurant with late breakfast until 11am. Unlimited use of all 3 restaurants with a la carte menus for lunch and dinner. Daily replenishment of soft drinks in mini-bar and bottle of water. Bottle of champagne 1 day prior to departure. Important note. Men must wear long trousers for dinner in all of the hotel’s restaurants.